It was a project which generated a fair amount of buzz a couple of years ago. 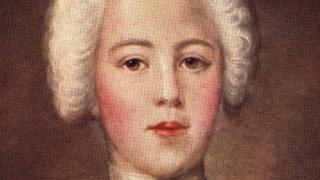 The story of Bonnie Prince Charlie still stirs a lot of interest in Scotland and beyond. The choice of a young English actor, Jamie Bacon, to play the Young Pretender in a new movie also ensured a few headlines as well. However, plans for filming The Great Getaway in Galloway, the Highlands and Outer Hebrides did not prove to be straightforward. They were delayed due to the death of a major funder but the intention was still for the cameras to start rolling in 2016. After that, though, silence fell. Producer Mairi Sutherland said that the inability to secure funding meant the project - about Bonnie Prince Charlie's flight to the isles after defeat at Culloden - had been put on the "back burner". "Should a distributor come forward for the project we would certainly consider reviving the film at some future date, but for now we are turning to other projects for next year," she explained. Ms Sutherland said should it become possible to make the movie - which planned a massive battle scene in Galloway - they would still hope to have Mr Bacon in the lead role. He admitted to the BBC Scotland news website that he had been disappointed when the part fell through. "I was into rehearsals and then they kept changing dates - one of the problems was the weather," he said. He described it all as a "bit of a mess" before he got the phone call to confirm that they had been unable to secure funding for the project. "There is a lot of hard work gone into nothing," he admitted. "For me, as an actor at the start of my career it was a really, really interesting part to play." However, he said he had since moved on with two new roles in films due out next year. In one, Lost & Found, he plays a transgender person living in London and "struggling with an inner identity that is desperate to be realised". While in False Witness he will appear as a recovering drug addict in New York. It is a long way from the story of Bonnie Prince Charlie and the Jacobite rebellion - even if that part might some day still lie in store.